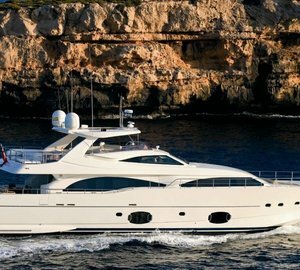 The Viudes 45 motor yacht PRIDE is a beautiful new vessel currently available for charter in the Western Mediterranean; offering exceptionally large exterior spaces and elegant, classic interior with accommodation for 12 charter guests. 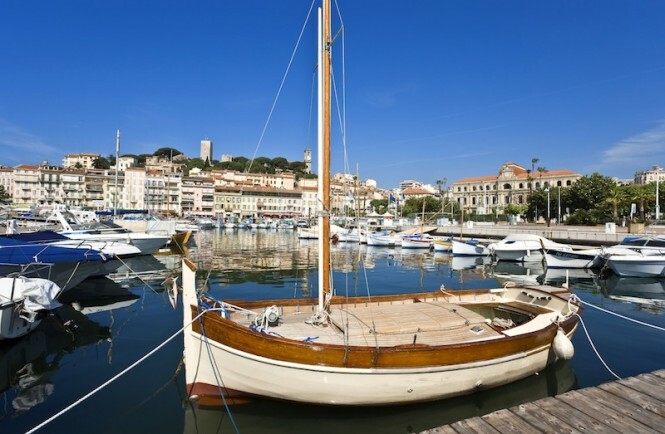 Embark on the vacation of your dreams and discover Mediterranean’s Italy and France aboard the magnificent charter yacht PRIDE for EUR€ 210,000.00 per week plus expenses. 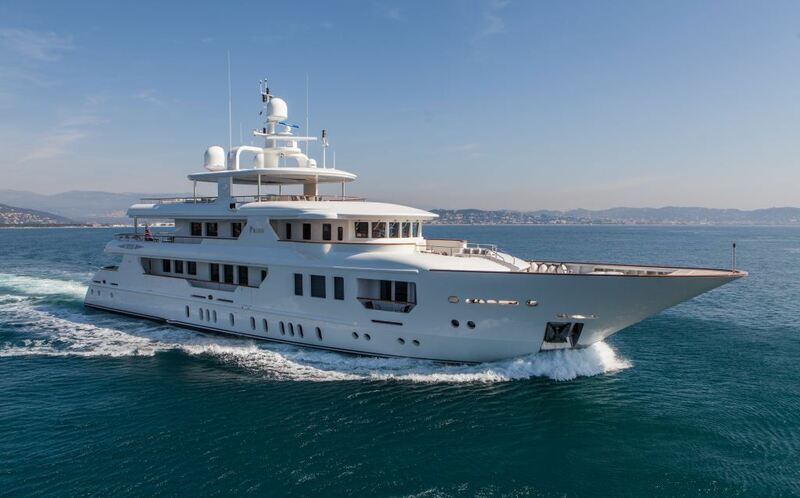 Pride was finished and launched by the well-known Italian yacht builder Mondo Marine in 2013, but her construction was fully executed by Viudes Yachts, who are also responsible for both her naval architecture as well as exterior design. 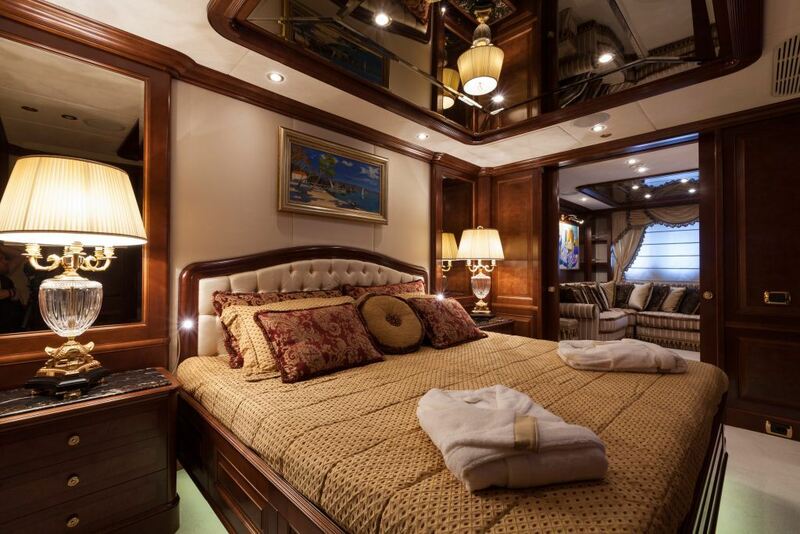 Her immaculate and sophisticated classic interior boasts comfortable accommodation in one full-beam master suite with two side balconies, one full-beam VIP cabin, two double cabins and two twin cabins. 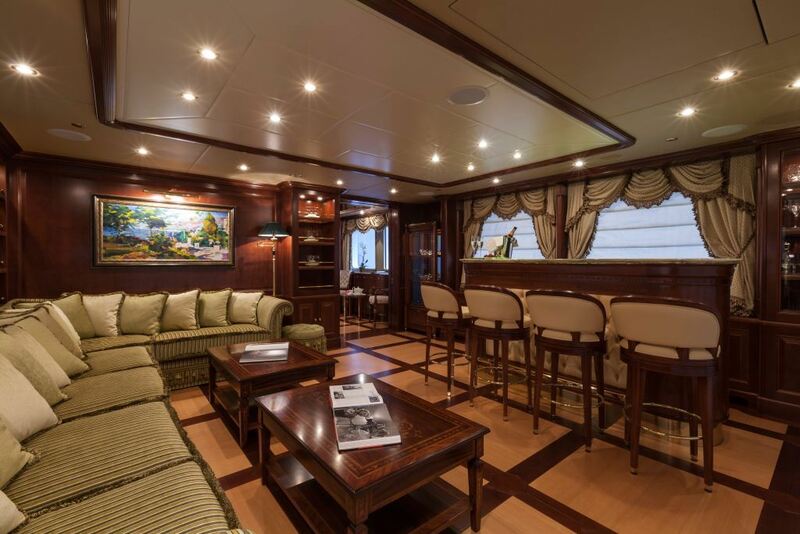 Luxury yacht PRIDE’s large open-plan salon and dining space on the main deck is a perfect place to unwind or enjoy an elegant dinner prepared according to guests’ preferences. 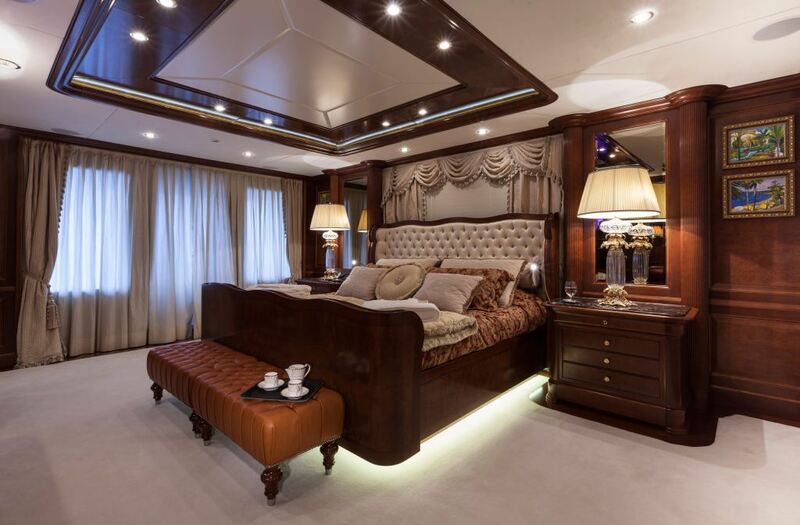 The décor here is classical traditional, with a refined feel of sophistication. Fine deluxe soft furnishings, hand-polished wood panels, intricate detailed wood floors and luxurious window treatments create an exquisitely harmonious atmosphere. 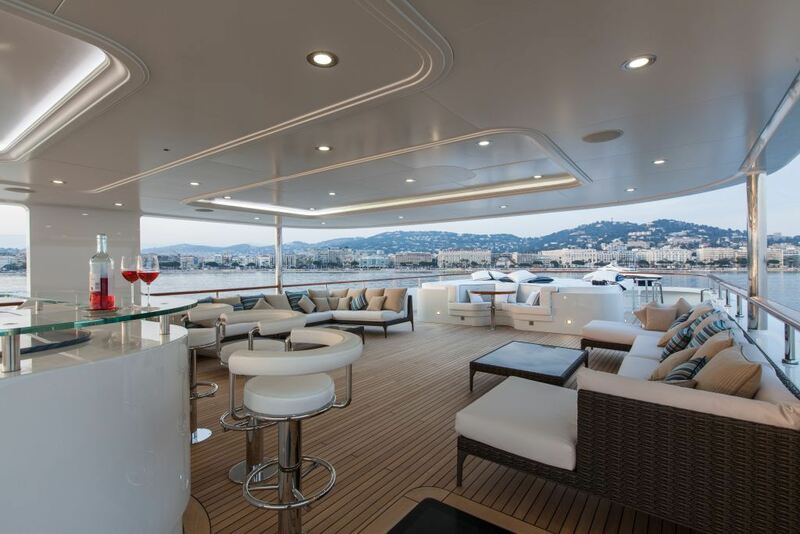 Upper deck’s Sky Lounge follows on with the stylish theme, featuring a comfortable L-shaped sofa, coffee tables and a large marble-topped wet bar, ideal for entertainment after sun-set. 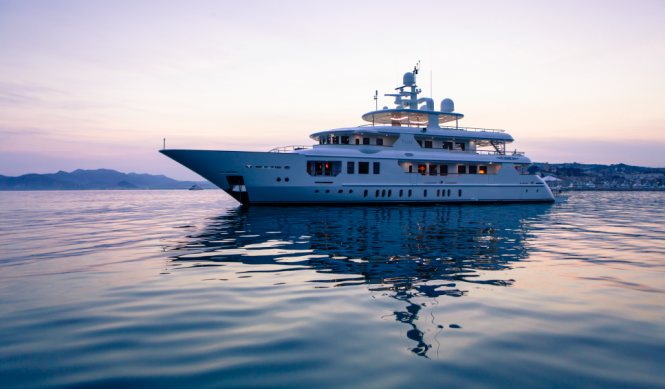 Guest can also enjoy the fabulous exterior living spaces aboard Pride superyacht, including the main deck aft, offering comfortable shaded outdoor lounge, followed by a centre-lined staircase to the extended teak beach and sauna. 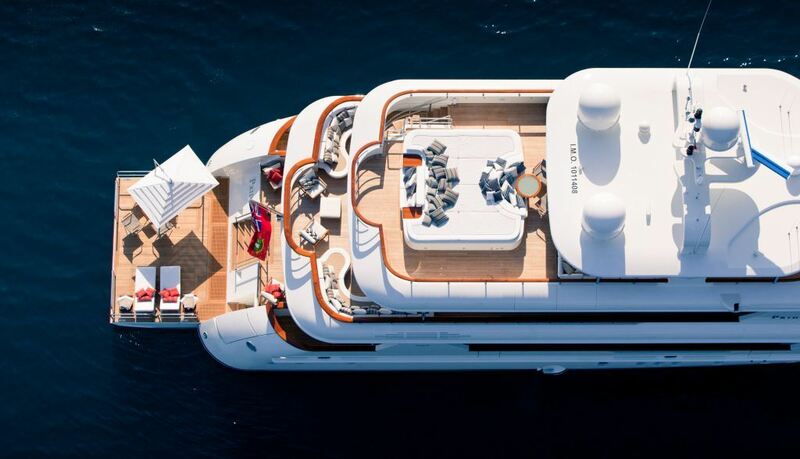 Above, on the upper deck, al-fresco dining can be enjoyed, following a refreshing cocktail in the sky-lounge. 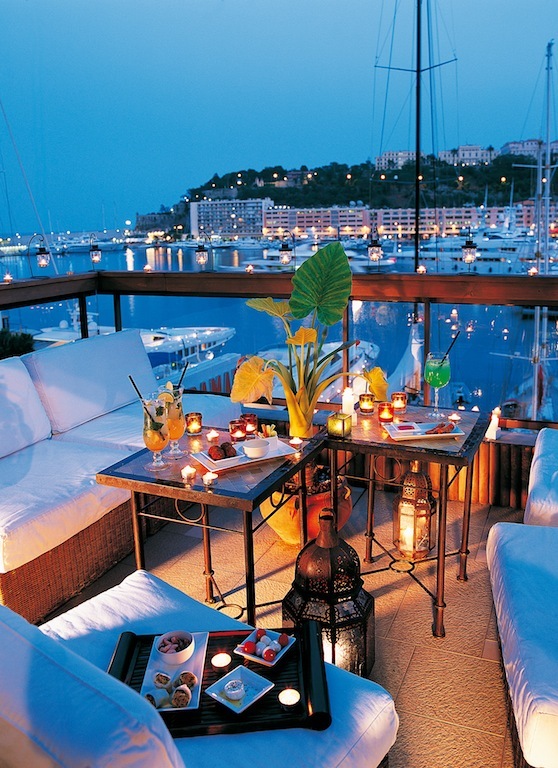 There are also comfortable exterior lounge chairs to relax. 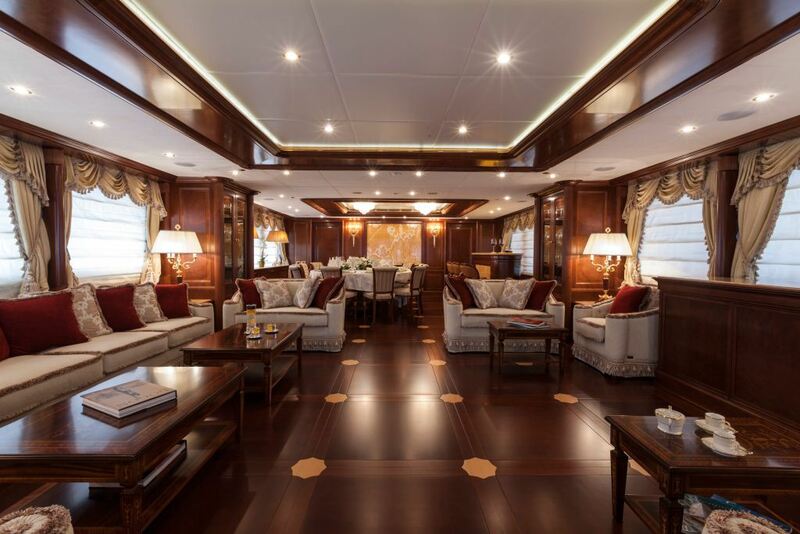 The upper deck wraps around the yacht 360° leading to two huge sun-pads on the foredeck. 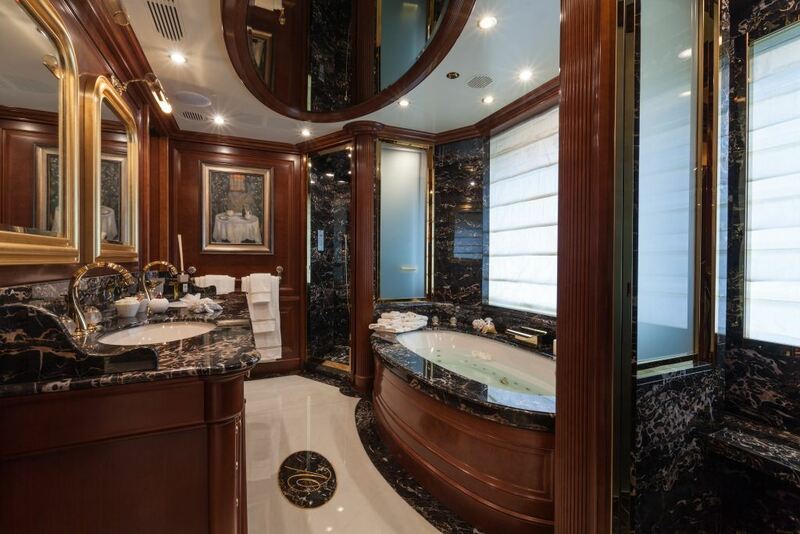 There is a fabulous sun-deck aboard, which includes a massive sun-pad, ample seating and a luxurious glass-topped wet bar. 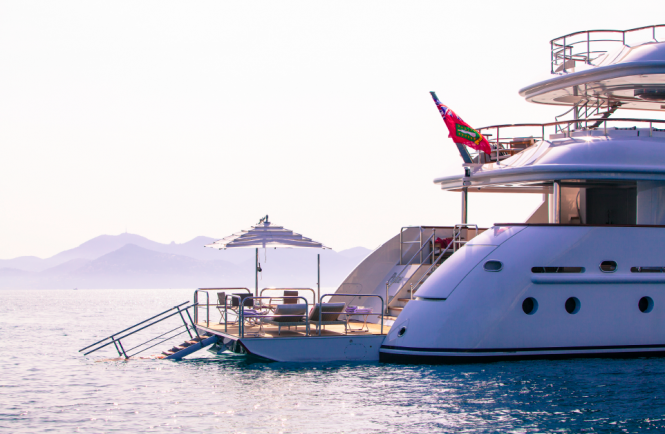 The extensive selection of water toys and amenities aboard PRIDE include two full diving equipments, Swimming goggles, 8 x Fins, 8 x Diving Masks, 8 x Water Sport Suits, Kids Water Ski, Adult Water Ski, Wake, 2 x Tubes, 1 x Tube Jobe, 2 x Jet Ski wave Runner, 1 x Jet Ski (Three Person), SEABOB, Tender CASTOLDI 21” L, Tender TEMPSET 4,80 – Yamaha 60 HP, Fishing Equipment and various beach toys. The captain and the crew look forward to welcoming you and your guests on board to make your stay as wonderful as you thought it would be. 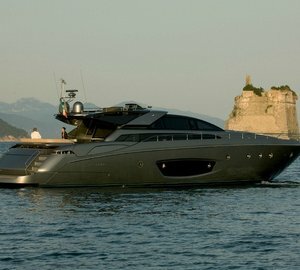 Undoubtedly the most popular Mediterranean yacht charter destinations include the French Riviera, Italy as well as the nearby islands of the Western Mediterranean, such as Capri, Sardinia, Sicily and Corsica. 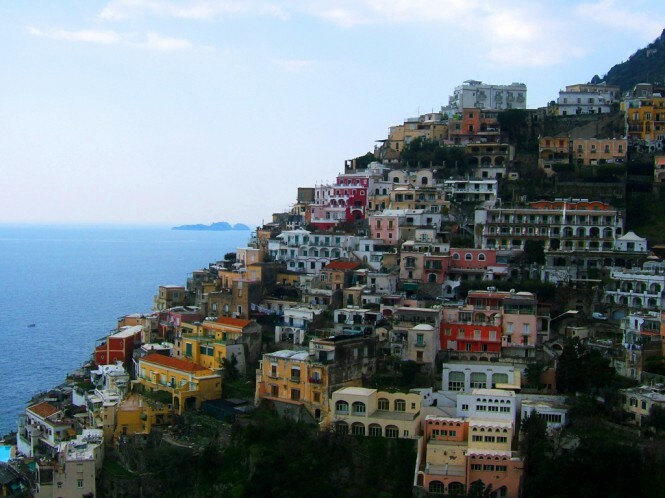 Western Mediterranean is well known for its rich history and culture, French Riviera‘s glamorous port towns, the elite beach clubs, romantic cobbled streets with charming little cafés and exclusive restaurants as well as Italy’s cliff terraces with scented lemon groves and the breath-taking architecture. 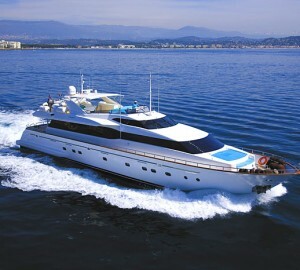 If you are interested in finding out more about the Viudes 45 motor yacht PRIDE or the yacht charter process please do not hesitate to contact us to have your questions answered personally by a charter broker at no cost. 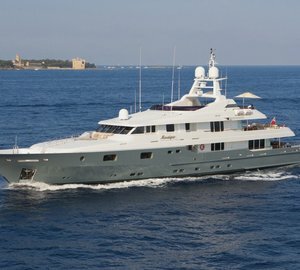 Please contact CharterWorld - the luxury yacht charter specialist - for more on superyacht news item "Sophisticated and Elegant 45m Motor Yacht PRIDE for charter in the Western Mediterranean".